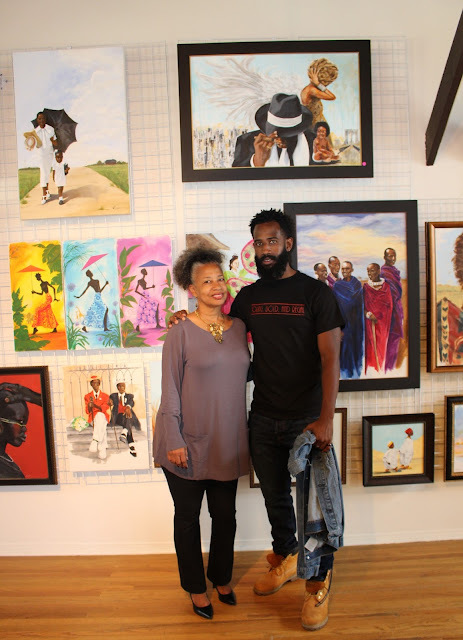 On Sunday evening, April 10th, I was honored to attend Alkebulan Cultral Center's Artist Gallery in Pasadena, California featuring the works of artist Riea Owens and photographer Gail Oliver. Patrons of the show swirled around the room as they were treated to African American,Afrocentric & multicutral artwork by Riea Owens and photographs by Gail Oliver that embodied the spirit of Los Angeles. You could feel the culture reverberate at this art gallery, with one piece or another resonating with the viewer. At one point there was a small boy who reached for a painting! Let's just say the little guy was so moved by the art he had to take a closer look at it. And in all fairness the painting he had reached for was of a small boy with a concerned look on his face,maybe he saw himself in that art piece. Among Riea's best work is her painting that serves as a collage of the most iconic images of the 90's R&B and Hip Hop era. A piece commissioned by her son Niles Owens, she reimagines Jay Z's debut classic 'Can I Live', Notorious B.I.G's famed 'Ready to Die', and Erykah Badu's soulful 'Baduizm' album covers. The subject matter of Riea's paintings were multicultural from two gentleman relaxing on a bench seemingly in their Sunday Best suits to a confident warrior looking across the landscape with a spear in hand. 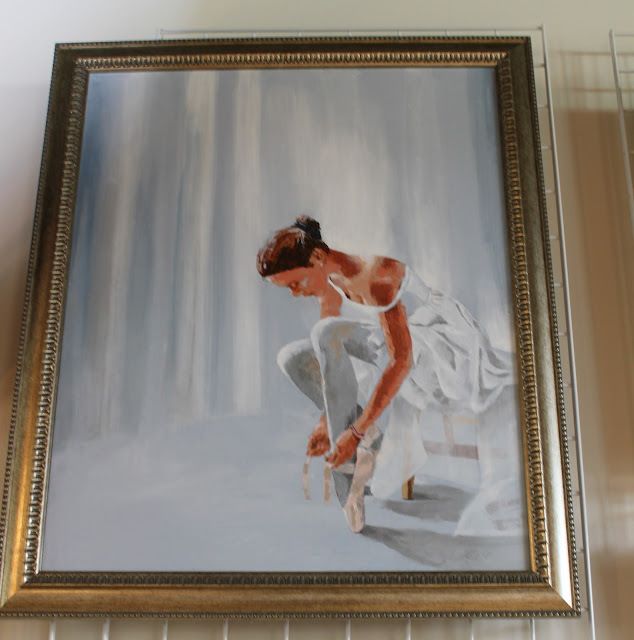 Her art work also had a gracefulness and lightheartedness to it as well like that of the ballet dancer preparing for a recital. Gail Oliver's photography displayed the streets and essence of Los Angeles and the surrounding cities. She had a piece that struck a chord with me, a listing of the main streets and areas in Pasadena. Having ridden down those places all my life it was great to see that. A photo that stuck out to me was an old building in Los Angeles that could of been a movie theater or a venue as Gail was keen to not take the cliche angle of the marquee in front. But a side angle of the building that highlighted its colorful art deco design. It was very refreshing to see such culture, my culture, represented. From the African American art to the emphasis on Pasadena I feel like art galleries and exhibits like these are important for the city and their residents. It was an event you could bring you family, friends, and loved ones to so as to soak up the arts in order to be influenced by it weather you're a creative or not. Evan, thank you so much for the positive article on our show. You did a fantastic job and truly captured the event.